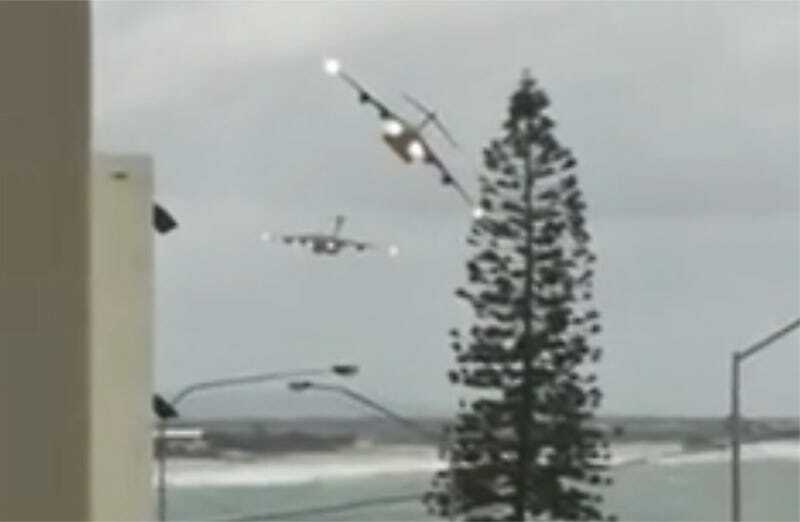 The flight was a low-level training mission executed by RAAF Base Amberley’s No. 36 Squadron, the RAAF’s only C-17 unit with eight examples on hand. American C-17 units also practice low-level flying and the big jet is known to be incredibly nimble down low for its size. Although, in the U.S., these missions are usually executed over sparsely populated areas. The RAAF is known for putting some spectacular displays with their equipment in urban areas, but usually these are for major events, such as races, air shows and national celebrations. Before their retirement, RAAF’s F-111 Aardvarks were usually the stars of these appearances with their “dump and burn” capability. Still, surprise air shows are the best kind of air shows. Well done No. 36 Squadron, well done.